Detailed review of Klorane Dry Shampoo with Oat Milk (non-aerosol). See what real experts and actual users have to say about this dry shampoo. Klorane Dry Shampoo with Oat Milk (non-aerosol) was a major disappointment. I had high hopes for this dry shampoo and it really fell flat in every area that it could. The bottle that it comes in is so difficult to use; it is a squeeze bottle that plops the product right onto your hair and you can’t control the application or amount at all. Once it was in my hair, it sucked any and all moisture that was in my hair and left it feeling brittle and looking dry. Using it was also very difficult as it left a horrible white cast in my scalp that couldn’t be removed no matter how hard I tried. Not only was the product a disappointment, but the price tag is ridiculous at almost $12.00 an ounce. Overall, Klorane Dry Shampoo with Oat Milk (non-aerosol) didn’t do the trick to make my hair look or feel clean. Klorane Dry Shampoo with Oat Milk (non-aerosol) felt extremely dry when I first applied the product. I could feel the moisture immediately taken from my hair and it looked and felt bad. The pigment of the powder was extremely white and I really didn’t know how I was going to get the pigment blended into my hair. I let the product sit in my hair for two minutes as the bottle instructed, but I was extremely skeptical of how it would look once I started to brush it through. Klorane Dry Shampoo with Oat Milk (non-aerosol) was hard to apply. Since the product is a powder, it was a total mess when I applied it. The bottle has one hole that you are supposed to squeeze the product out of and it just plopped onto my hair and all over my clothes. It would have worked so much better if I could shake it out and control the amount to use. The only real way to control the amount is to first squeeze the product into your hand and not your hair. It was also very hard to use because the white powder got stuck into the roots of my hair and my scalp and would not come out no matter how much I brushed it or tried to rub my scalp. Since the product is a powder, it came out dry. The powder didn’t have much of a smell; it mostly smelled like a typical baby powder. Over time the smell stayed in my hair, but wasn’t too over-powering. I was very disappointed with the Klorane Dry Shampoo with Oat Milk (non-aerosol). I had high expectations of this powder because the aerosol Klorane Dry Shampoo is so amazing. This dry shampoo left my hair feeling and looking dry and like it obviously had dry shampoo in it which is never what you want when using these products. The results did last all day, which in this case wasn’t exactly a good thing. At the end of the day, I was so excited to wash my hair and drench it with conditioner and oil to add some moisture back into my hair. Klorane Dry Shampoo with Oat Milk (non-aerosol) is $20.00 for 1.7 oz. 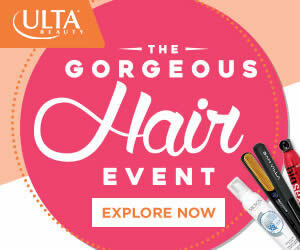 That comes out to $11.76 per oz… that is way too expensive for this dry shampoo. Klorane Dry Shampoo with Oat Milk (non-aerosol) has a 30-day 100% money-back guarantee. 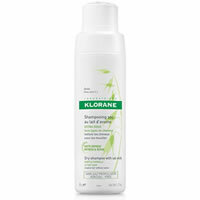 To buy Klorane Dry Shampoo with Oat Milk (non-aerosol), Click Here.